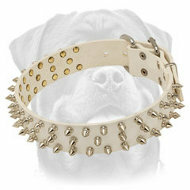 Fashionable dog collar for fashionmonger! 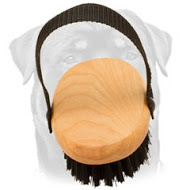 Perfect solution for those liking their dogs to look always wounderful! 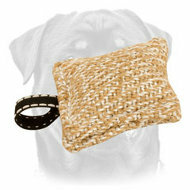 Available in black, brown and tan-best colors that are good for every occasion! 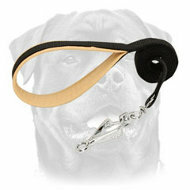 Do you want your Rottweiler to wear a functional item for the rest of his life as well? 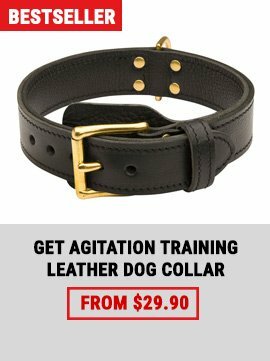 Do you want a collar for him to be unique to make a statement? This collar is the perfect answer! 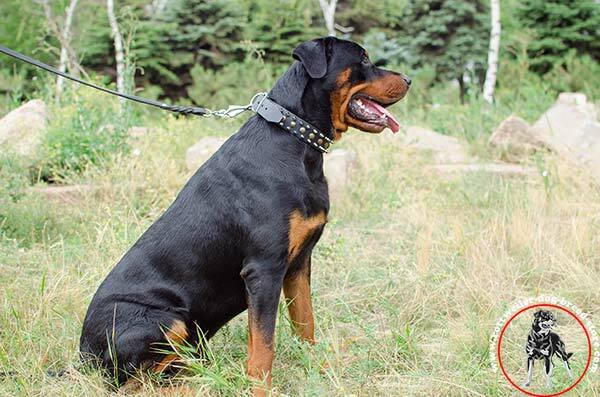 This very collar is just the collar that will rescue you from any life situation connected with your dog. Beautiful finish is a main feature of this collar. It is a handmade skillful complicated work performed in keeping with the best traditions of decoration. 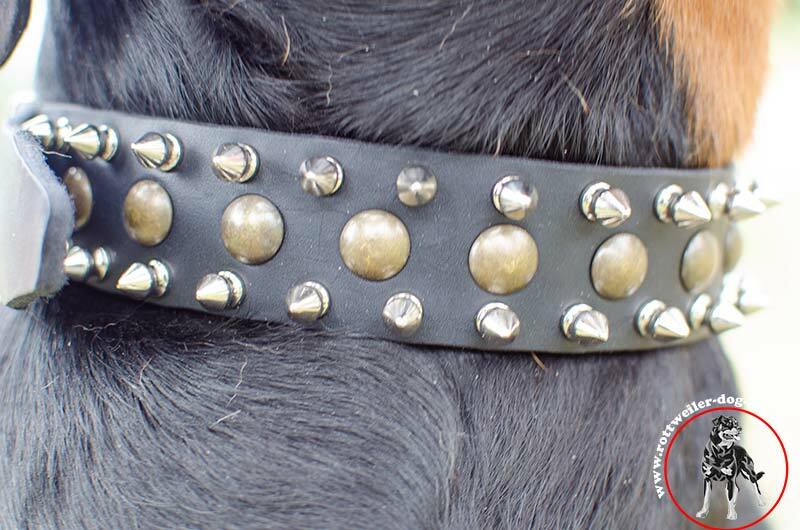 Arrangement of 2 rows of nickel plated spiked and one row of brass plated studs is sure to impress every passer-by when the collar is worn by a dog. 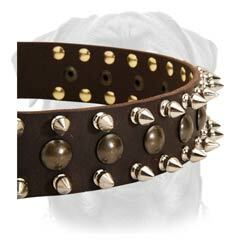 Style, durability and quality are the other characteristics of this collar. 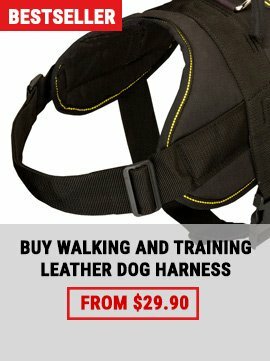 Select full grain leather is most suitable for making training dog gear as it is safest, strongest, finest-in one word best leather material among great variety of leathern stuff! 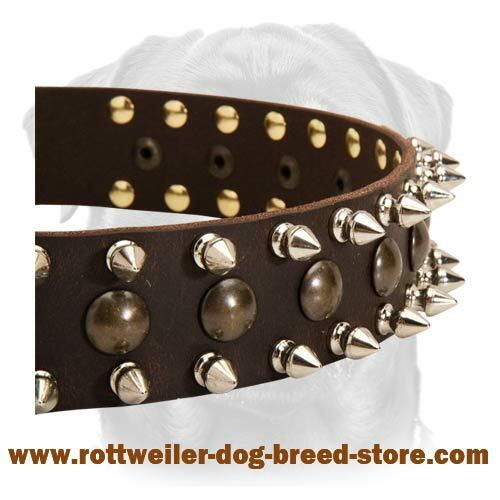 Cut from cow hide to the best width and length it was turned into wonderful strap meant to be an everyday collar for your Rotty! This leather is breathable due to grain structure and less susceptible to moisture owing to continuous wear. It was buffed to be smooth and soft. Perfectly oiled the leather will serve you for years. 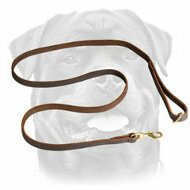 Comfort of your dog is a primary task and wearing this collar your Rotty will feel very comfortable! 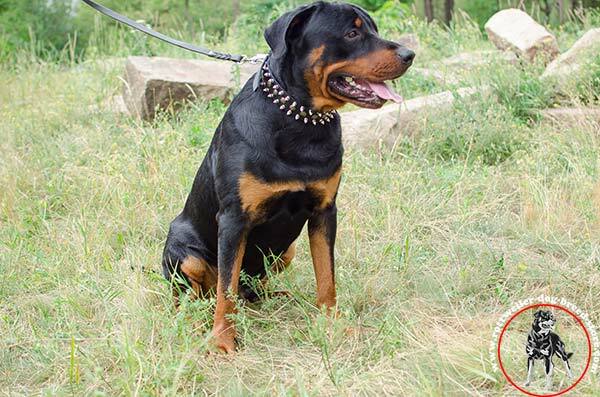 As the width of the collar was made in accordance with Rottweiler’s neck size you are able to provide snug fit for him then. 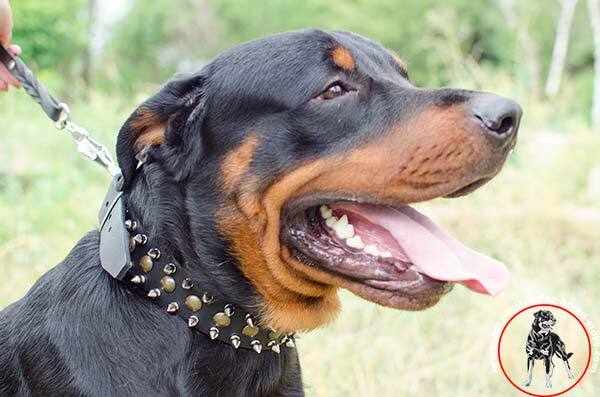 Wide collar for wide Rottweiler’s neck is a wise decision. 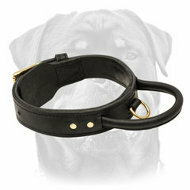 Since the collar has rounded edges it does not wear into the dog’s skin. 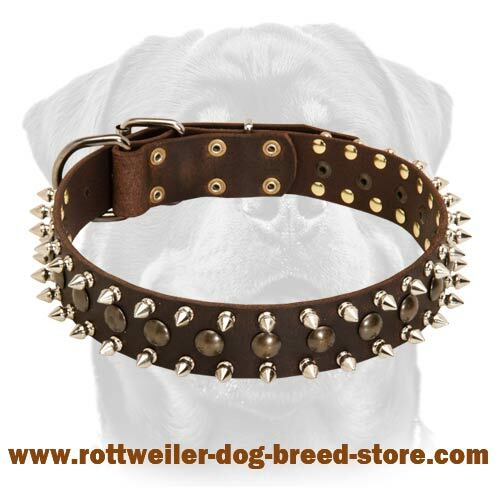 No choking of your Rotty’s throat with this collar on! 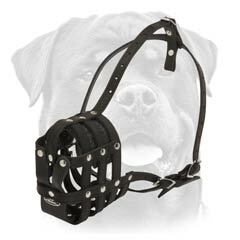 But remember!You should not tighten your dog’s neck very much if you do not want him to realize that he is having the collar on! Rivets are meant for reliable securing of smooth nickel plated buckle as well as spikes and studs. Inserting of spikes and studs was made by hand. You should not worry about them to come off one day as they will hold forever. 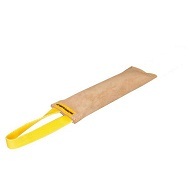 Hand set rivets securely hold massive D-ring to which you will be able to attach a lead when needed. D-ring is strong as was duly welded. Rustless hardware. We do not want you to experience any problems with this collar. 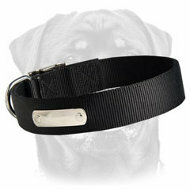 Our biggest desire is a successful education of your dog and this collar can enable it greatly. 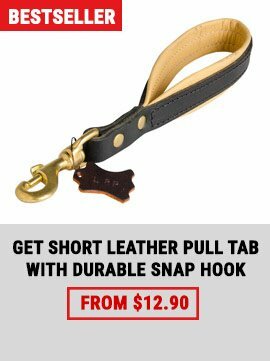 We chose best metal hardware one could wish for outdoor dog equipment! Super strong nickel plating and durable brass do not only look awesome on the collar adding a singularity to it but they do not rust at all!